Forced type concrete mixer belongs to engineering concrete mixer. 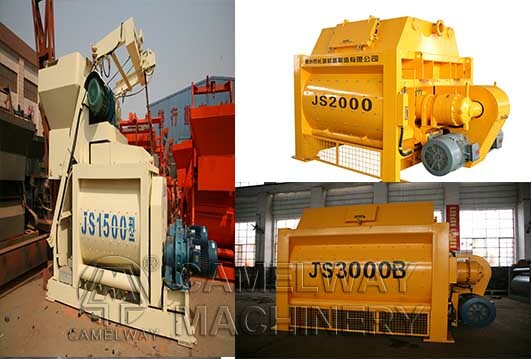 The common types of forced type concrete mixer are: JS500 forced type concrete mixer, JS750 forced type concrete mixer and JS1000 forced type concrete mixer. Check the steel wire rope of concrete mixer and spread some grease on the surface of the steel wire rope. Change the steel wire rope timely when it is abraded to a certain degree; check whether the water supply system is clean and the water supply system of concrete mixer should keep clean to avoid blocking. Check and clean the suction valve; check the rocking arm of the travel switch of concrete mixer whether it is loose. Adjust it if necessary; check every electric motor and electric component whether they are loose. Check the situation of the alternating current contactor of compulsory concrete mixer; clean the dust of distribution box and water is not allowed to enter into the limit switch of compulsory concrete mixer. What are Models of Concrete Mixers Used in Construction?